The University First Class Painters (UFCP) franchise system can provide your son/daughter with an excellent opportunity for real-world business management experience and help them to develop a valuable skill set for today’s competitive job market. Our system has proven to be a financially rewarding venture for those students who are willing to work hard and stay dedicated throughout the summer months. With over 30 years of practical business experience, we have developed a framework that will guide your son/daughter through the financial and operational components of their business and protect them in their business venture. 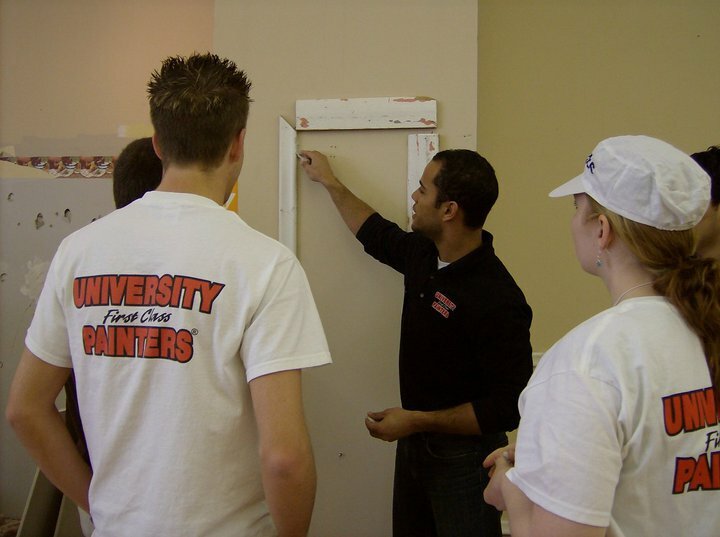 In addition, we have numerous support staff including Regional Managers, District Managers and Administrative Staff who are dedicated to helping your son/daughter have a prosperous career with University First Class Painters. We will also provide your son/daughter will contact information for current and former franchise managers so that they are able to discuss the position with someone who has first-hand experience in this position. When Spencer informed me that he was in the interview process with University First Class Painters, with hopes of becoming a franchise manager, my initial reaction was one of concern and skepticism. I was unfamiliar with the company, and felt that starting a painting business, with no prior experience, after only one year of University was too large of an undertaking for such a young man. I felt I should try my best to help him make the correct decision, but I wasn't even sure of what questions to ask. Chris, the Regional Manager was willing to talk with me as a parent, while Spencer was in the interview process and he continues to be available to me or to Spencer always by phone. Simply by being open, and letting me call him and discuss the position, as well as ask some of my own questions to determine the 'legitimacy' of the franchise system, provided me with a much higher level of confidence, and clarity for what it was Spencer was deciding to undertake. In addition to the front-line support of Chris (the Regional Manager) and of the local District Managers, the head office staff have always been excellent providing background support, answering questions about payroll, accounting and business setup/administration. The multiple layers of support that are in place to ensure each manager's success have been most impressive to me. There is very much to learn, but there has always been someone available to provide advice and support. I have observed that Spencer has learned to manage every area of a business with the support of UFCP. As a parent I would encourage you to support your child in running a franchise. It can be a positive experience for you both! My wife and I remember like yesterday the day our 19 year old son David announced at the dinner table that he’s been in discussions with a student painting company at university about running his own franchise in the summer to come. Our initial thoughts revolved around fear and failure to earn valuable tuition dollars over the summer. But then I (Jim) considered my own work experience back when I was in university – lame summer jobs of minimum wage where I learned practically nothing. No, check that. I earned little and learned even less. Since then, I’ve adopted the philosophy that young people are best off when they work to learn. And learn is what David did. In that very first summer with University First Class Painters, he learned to stretch himself, to think creatively, to manage people, to assess character, to be diligent, to be fair, to sell, to fail, to trouble-shoot and problem-solve, to organize and systematize. But most of all, he’s adopted the posture of a learner. He now reads voraciously. And he understands the value of mentors and mentoring others. Many of these things came through his association with University First Class Painters. University First Class Painters has been a great experience for my son. 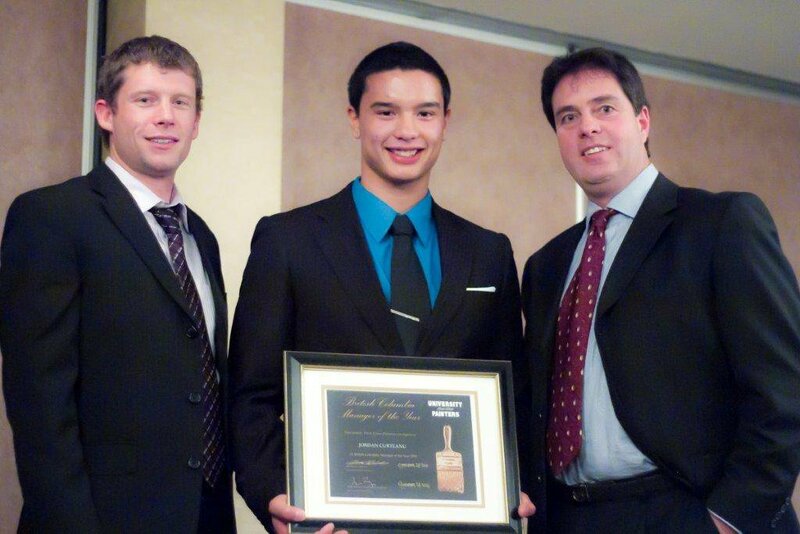 As a franchise manager, Shawn has been able to apply what he learned through his postsecondary education. 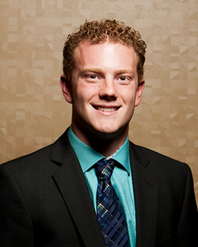 He has experienced firsthand the benefits and challenges of running his own business. 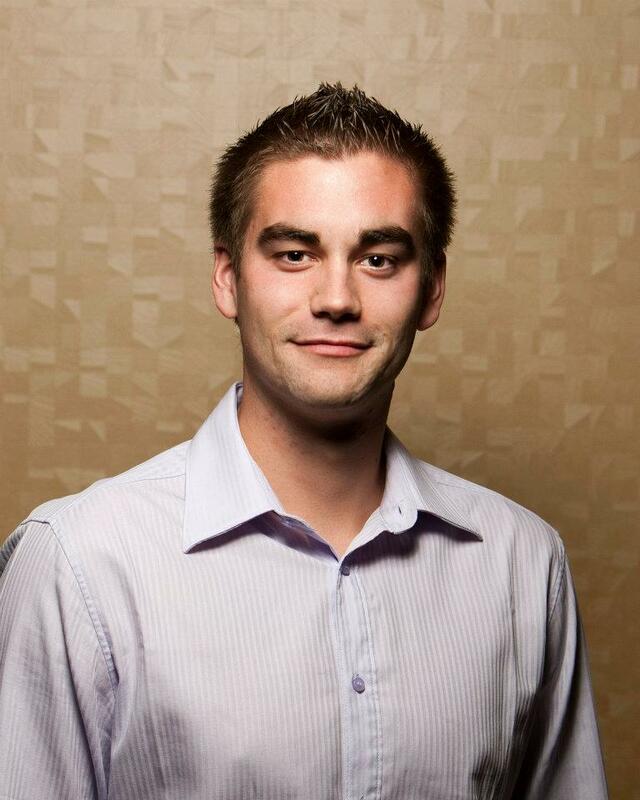 Shawn has gained a vast amount of experience in marketing, quoting, scheduling and production. 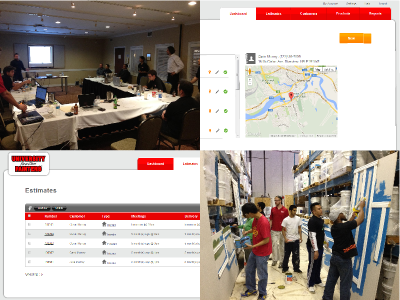 The business model and support from the University First Class Painters team has been exceptional. 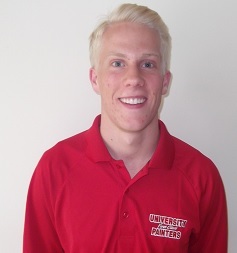 Our son has been part of the University First Class Painters team for almost two years and this opportunity has provided him with some of the best business fundamentals a student could experience. Padan has had to learn how to sell work, price jobs, deliver on quality, on budget and on schedule. In addition he has had to learn how to interview and hire talent for the team and on board and manage project delivery with his team of students. Managing customer expectations and issues related to quality and delivery of the projects has also been a key component of the leadership opportunity at UFCP. In summary these real life experiences and the fun that the teams can have delivering successful projects has provided a work experience that would be hard to replicate in many other summer jobs. The opportunity our son has been afforded through University First Class Painters has been excellent. Even in the first summer, his operation was profitable and resulted in more than sufficient earnings for his return to school in the Fall. The support he receives continues to be wonderful - his mentor/supervisor, Chris, is a role model who constantly offers invaluable assistance and support, office staff are helpful, always fair and understanding, other franchise operators gladly shared their knowledge and experience, conferences and recognition programs build and maintain enthusiasm and energy. Nathan is learning valuable business skills, building confidence and maturity and has gained an understanding and belief in his ability to work hard and be successful. We look forward to his continuing to work with the University First Class Painters team throughout his university years. Thank you. The UFCP system was designed specifically for students and we will support and guide your son/daughter throughout their career with UFCP. Our upper level management staff (Regional Managers, District Managers and Administrative Staff) are available to consult with your son/daughter whenever help is needed. Upper level management staff at UFCP monitor the performance of each individual Student Manager. Feedback on any problem areas and conflict resolution support are provided to all franchisees, as required. We are proud to provide your son/daughter a fully comprehensive training program that includes basic business knowledge, financial knowledge and a safety program based on some of the highest standards in the painting industry. Your son/daughter will participate in our in-depth training program before he/she is a fully certified Student Manager. Our training program is a multi-faceted program that utilizes in-class seminars, online tools, hard copy manuals and field training exercises to teach your son/daughter all aspects of the student painting industry. The ability to successfully follow through with the challenging demands of operating a student painting business reflect well on the abilities of your son/daughter. Operating a summer franchise will provide your son/daughter with the opportunity to develop and refine his/her organizational, time management, and social skills while partaking in an established business model that can provide them significant financial reward. 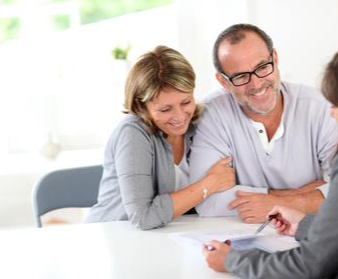 Your son/daughter will be provided liability insurance through a corporate policy. UFCP also requires all of our Student Managers to register with their local Workers Compensation Board to protect against any worker liability. Supplier Credit Lines: You son/daughter will benefit from supplies and materials that are purchased at a wholesale price from our approved supplier list. Revenue Canada: GST/HST and payroll purposes. Workers Compensation: Coverage for all of your son’s/daughter’s employees. Business Name: A business name from the Provincial Registry Agency is required to operate a business in any province. Your son/daughter will be part of a company that has been in business for over 30 years. During this time has developed a record of success which continues to attract a significant client base each year.